All this week, Destructoid will be posting Zelda-themed features to celebrate this weekend's release of The Legend of Zelda: Skyward Sword. It's Zelda week! By this time tomorrow, I will be knee-deep in Skyward Sword and (hopefully) loving every minute. It feels like Christmas! Aside from a brand new Mega Man, no other game release fills me with such delight and anticipation like the latest home console Zelda. It is gamer tradition to replay previous entries in a series to hype yourself up for the upcoming sequel. Some choose to only run through the most recent one, whereas others immerse themselves in the entire compendium. I myself settled for three-heart run of Twilight Princess. 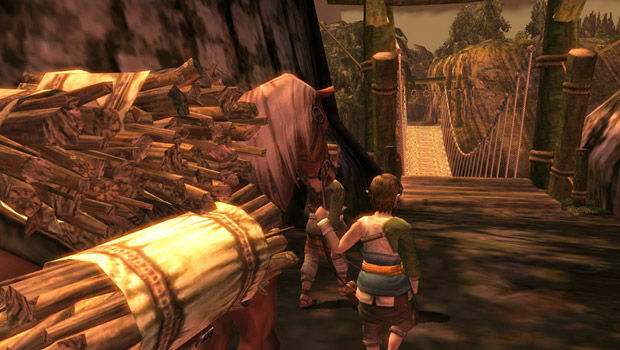 In retrospect, Twilight Princess is a curious game, shouldered with the burden of proving the Wii's motion controls to skeptics as well as inviting fans back to Hyrule proper after eight years of adventures abroad. Despite the high review scores all around, players found took note of certain flaws with Link's latest quest, as did our G1 Destructoid staff (oh Burch, you loveable scamp!). Even with these issues, the game is every bit the Zelda we know and love plus more. So before we welcome Skyward Sword into our homes, let's take one last journey with Link and his impish companion Midna through The Legend of Zelda: Twilight Princess. As Jonathan Holmes mentioned in his Skyward Sword review, each Zelda is a coming-of-age story with swords, shields, and magic. In the beginning, Link is unaware of the world beyond his home and of the role he is to play in shaping its future. As he rises to ever-increasing challenges, he gains the courage, wisdom, and power to effect great change in the lives of everyone he meets. I only recently realized it, but each principal Zelda game marks a chapter in my own coming of age. My first taste of Zelda was back in elementary school, when I slept over at a friend's house and we played A Link to the Past in the early hours of the morning. A few years later, during a summer in Utah, Link's Awakening became the first Zelda I could mine. How appropriate that my true relationship with the series would begin while I was embarking in a grand adventure of my own -- traveling through the Rocky Mountains, visiting new towns, and exploring Yellowstone National Park! Next came Ocarina of Time; I was in eighth grade, the final year of middle school. The bizarre land of Majora's Mask's Termina greeted me just as I was growing accustomed to high school. In the final months of my senior year, Wind Waker fell into my lap. Here was a game about sailing into uncharted waters, just as I was about to set sail into the uncharted world of campus life. 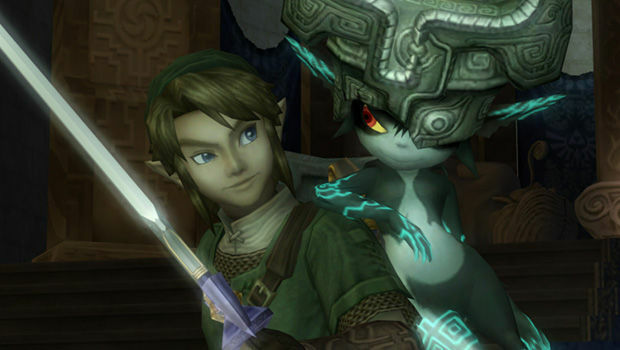 Twilight Princess released on November 19, 2006; the following month, I graduated from college. 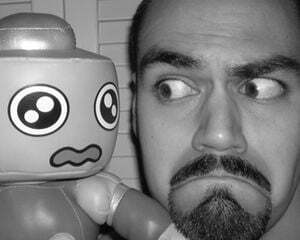 This game was my senior thesis, a culmination of all my experiences up to that point. It took the elements from all the past Zeldas and blended them into a concoction that felt instantly familiar yet foreign and surprising. Everything had built up to this moment, where I would prove my worth and take hold of the reins of adulthood. A lot of people complained that Twilight Princess felt like too much of a retread of Ocarina of Time, but I don't think that statement is accurate. Yes, the game shares a lot in common with the N64 classic, but Ocarina in turn was built upon the framework of A Link to the Past. 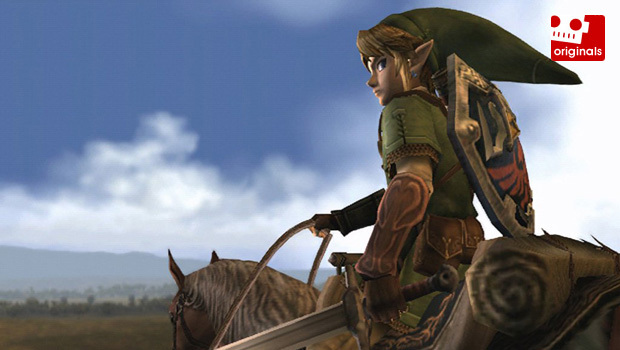 And since all the other Zelda games released between 1998 and 2006 were unconventional departures from the classic style, Twilight Princess was a refreshing return to the basics. 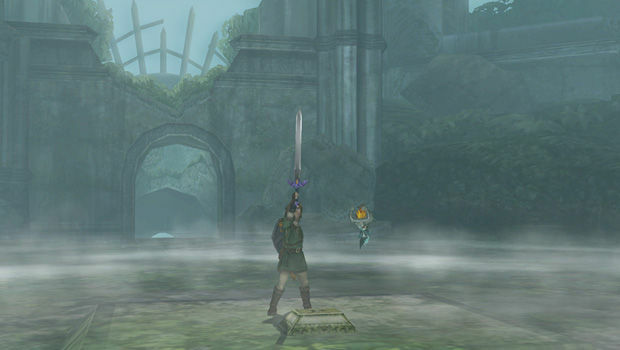 Twilight Princess took inspiration from many of its predecessors, not just Ocarina. 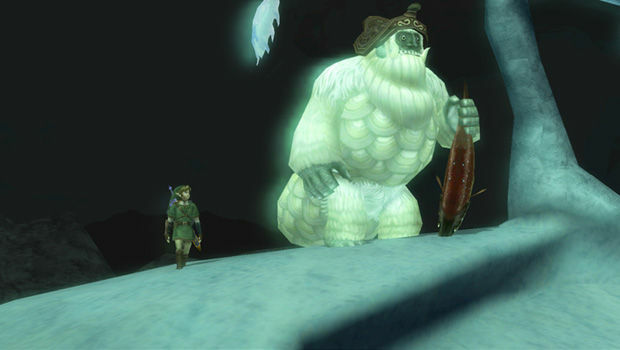 Like in A Link to the Past, there is a light / dark world dichotomy, Link turns into an animal upon entering this dark world, the Master Sword must be claimed from the depths of the Lost Woods, and the seemingly primary antagonist is but a tool used by Ganon. A particularly nifty little throwback is Link's ability to shoot bomb arrows, originally a secret technique (possibly a glitch) in Link's Awakening. To see this weapon formally acknowledged is indicative of the creators' attention to the minutiae that elevate Zelda beyond a typical videogame and to a state of genre excellence. The mark of a great adventure game is its proficiency in capturing the essence of a living, breathing world. 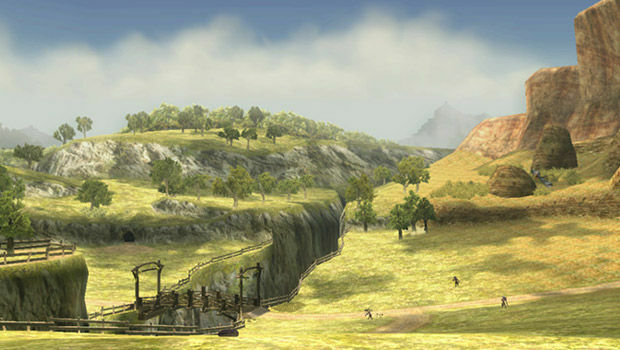 The Hyrule of Twilight Princess is such a world, filled as it is with new sights and sounds around every bend. Some people said that this Hyrule Field is too barren, but I have to disagree. Certainly, there are tons of grottoes and curious alcoves and outcroppings where glittering rewards await those who travel off the beaten path, but there is also a simple magic to the land that leaves me in awe. This Hyrule Filed isn't an empty box like the overwold in Ocarina or the clinical arrangement of Wind Waker's Great Sea with an island for every cell on the map grid. My three-heart run allowed for minimal side exploration lest I should stumble across an undesired Heart Piece by mistake, but even then, I found joy just in galloping through valleys and across glimmering brooks. I would get visions of Bob Ross and "happy little trees," and those would put me at ease. The world of Shadow of the Colossus is even less of a playground and filled with even fewer secrets, but would you call it boring? Those long rides between colossi encounters invite quiet introspection and appreciation of the land's untouched beauty. I'm also reminded of that summer out West, driving through Yellowstone, and gazing out the window at the glorious snow-capped mountains and various creatures milling about. We would drive up to an hour before reaching our next destination, but we never once complained that weren't enough park-sanctioned attraction spots along the road. Just taking in the glorious sights, reflecting upon your own role in the grand design, was enough. 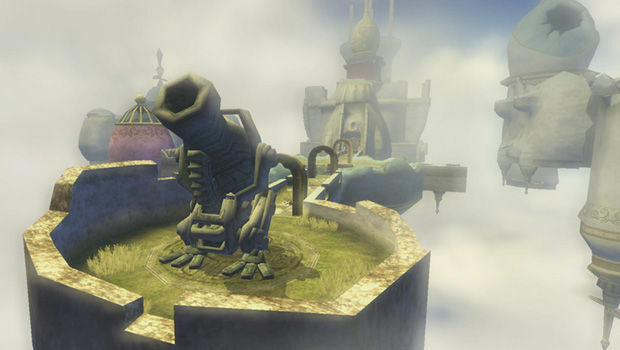 There was a startling moment the first time I played Twilight Princess when I was snowboarding down a mountain in Snowpeak and suddenly thought, how did I get here? It wasn't that long ago that I was herding goats in my quaint forest village, but now I'm following a Yeti to his home at the frigid ends of the earth. Somewhere between those extremes, I braved a molten mine, stormed a desert prison, and stopped the land from being consumed by the reality warping effects of a parallel dimension, all before the halfway mark! How do you even begin to measure such a profound realization? One of the game's greatest accomplishments is how lived-in it feels compared to its predecessors. NPCs have long been a staple of the Zelda series, but their impact on the world is far more pronounced this time around. There's a human touch that I haven't noticed since Majora's Mask, a game where all the townsfolk operate on daily schedules instead of simply standing around and spitting prerecorded lines. 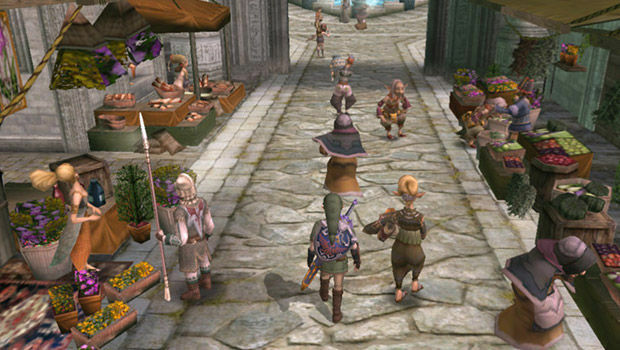 In fact, so busy are some of the folk in Twilight Princess' Castle Town that they are unable to break for a quick chat with you! People with better things to do than just satisfy your penchant for small talk! It's hard to get a sense for this personality without playing the game firsthand. It's a subtle attribute that just hangs there, pervading the smallest of details. On the way to the Arbiter's Ground, you dispatch a camp of Bulblins guarding the entrance, and as your search the area, you notice a giant boar's roasting on a spit, an indication that these Bulblins were about ready to sit down for a meal. In your wolf form, you eavesdrop on the survivors of Kakariko Village, frightened for their safety, discussing their many fruitless endeavors to drive out beasts that have invaded their town, and praying for an unlikely miracle to deliver them from darkness. Then there are the dungeons, some of which break out of the traditional Zelda dungeon mold. The first time I visited the home of the Yetis, Snowpeak Ruins, I was greeted by a warm fireplace and hot soup. It wasn't until I explored the mansion further and encountered an assortment of bizarre enemies that I realized this was an official dungeon. I felt just as shocked back at the Goron Mines when I discovered that the elders actually lived here like it was a lava-filled boarding house. In the City in the Sky, home of the skybound Oocca race, there's even a shop right there near the start, the first time I recall one's ever being located inside a Zelda dungeon. Of course, this personable world wouldn't work if the inhabitants weren't just as fascinating. You have Malo, the four-year-old with the shrewd business sense of a seasoned salesman. He is such a serious and curt character, completely at odds with his age and the attitudes of the other children of Ordon Village. He opens up a shop in Kakariko and tells you, his savior, that you are only as valuable to him as the rupees in your pocket. After you rescue Colin from King Bulblin, Malo is the only person who doesn't rush up to greet you or check on Colin's health, instead standing impatiently off to the side, hoping this outpouring of affection will end so that he can go back to making bank. It's hilarious! Ilia is the game's tragic figure. She is Link's childhood friend, and she clearly longs for a deeper relationship. She develops amnesia after her traumatic abduction early on, and it's not until close to the final act when Link manages to restore her memory. Ever grateful to Link's devotion, Ilia gives him the horse call she made before the adventure began. Unfortunately by this point, Link has caught the scent of royal nectar and doesn't have much interest left for a simple country girl. After her great ordeal, poor Ilia totally gets friend-zoned! 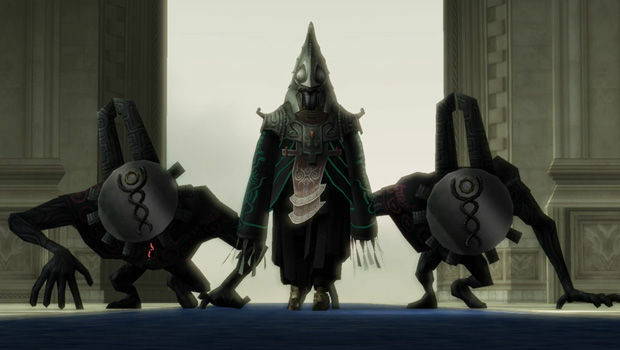 Regardless of what anyone else may say, Zant is a great villain. The game's forced inclusion of Ganon is unfortunate, sure, but that has nothing to do with Zant's performance. Some gamers were turned off by his eleventh hour reversal, the moment he casts aside the facade of stoicism and reveals his erratic nature. I don't understand how anyone could say, up to that point, that he was a good character (outside of his admittedly stellar outfit). In his few appearances prior to the showdown at the Palace of Twilight, he slowly paces around and says a couple of words, but in no way does he demonstrate any kind of true personality. Anyone or anything could have played the role of generic bad guy in his stead. That turnabout was the clincher that secured his place in the halls of villainy. Zant isn't great because he's a stone-cold tyrant without fear, pity, or remorse; Zant is great because he acts like he's a stone-cold tyrant when he's actually just a selfish child with a shiny new toy. His power is not his own, and the thought that it could slip through his fingers at any moment fills him with no small degree of dread. When he learns that there is someone out there with a power that could rival or surpass his own, his focus is no longer on outward appearances but on directing every last ounce of strength towards vanquishing his foe. There's not a person more dangerous than one with everything to lose. He reminds me a lot of Light from Death Note. Light comes into possession of a notebook that can kill anyone on the planet when that person's name is written down. Using the Death Note, Light fancies himself a god and starts ridding the world of evil while also killing those who come too close to discovering his identity. The Death Note doesn't belong to him, however. It's a power borrowed from the true Death Gods, and it can be taken away at any moment. When he's finally unmasked, his panic and fear cause him to lose his composure and sanity, and he ultimately falls victim to the very power he thought was his to command. 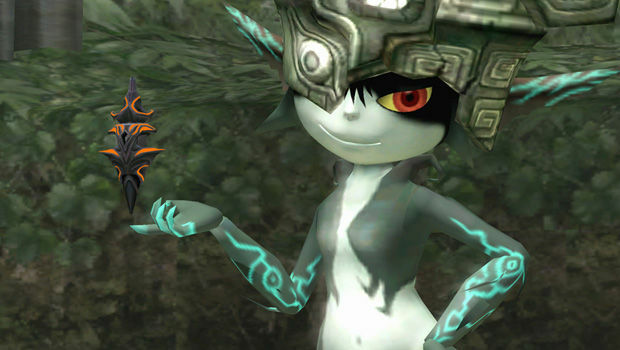 Zant is a great and all, but Midna may just be my favorite Zelda character of all time. Midna is the support character done right. The fairies from Ocarina and Majora's Mask and the King of Red Lions from Wind Waker are merely there and add little to the story itself, but Midna is ingrained deeply in fabric of Twilight Princess. She's the titular Twilight Princess, after all! She is sassy and distant in the beginning, but as she bears witness to Link's strength of heart time and again, the two grow extremely close and form a connection that someone like Navi could never make. She connects to you, the player, when she giggles through the Wii Remote speaker to grab your attention. She stands out by being the only character in the game with actual voiced dialog. Sure, it's garbled gibberish, but that only makes her all the more endearing. She is the first friend that the player, not Link, ever makes in a Zelda game. There are other characters in this and previous Zeldas who are designated as "friends" by the narrative, but Midna is different. This is the first time we have a companion who sticks by your side throughout your adventure, sharing in your struggles and heartbreaks, making the observations you can't make yourself, begging for your forgiveness and understanding, and making you laugh with her childlike antics. And when you go your separate ways after the quest has ended, a part of you goes with her. Isn't all that worth dealing with first-generation motion controls that may act a bit finicky now and then? Isn't all that worth being saddled with items that don't see much use outside of the dungeons in which you find them? Isn't all that worth suffering another treasure chest of rupees that you are forced to leave closed because you don't have enough space in your wallet? It's been five years to the day since The Legend of Zelda: Twilight Princess launched alongside the Wii. The gaming landscape may have changed, as may have our personal lives, but it's still the charming adventure that made me fall back in love with this hobby all those years ago. Riding high on these emotions, I'm counting down the hours until I can pop Skyward Sword into the disc slot and rekindle that love all over again. I hope you all share the journey with me.